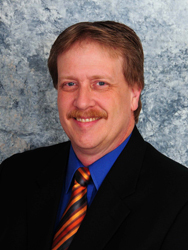 Dr. Gehlsen graduated from Palmer College of Chiropractic in 1985. He comes from a family of six boys. His father was the Vice President of business at Palmer for over 40 years. 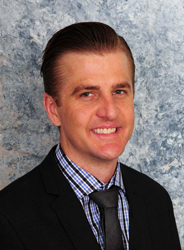 Dr. Gehlsen had his first chiropractic experience as a youngster with an ear infection. When he was unable to rest overnight, his mother made an appointment with the family chiropractor and had great results! Dr. Gehlsen and his wife, Janine, relocated to Freeport in January of 1986. He was licensed in March of 1986 and started to develop his practice with an emphasis on family care and extremity work. Drs. Gehlsen and Hulsebus practiced together for several years before forming a partnership in 1990. Dr. Gehlsen has been involved in several professional memberships, which include the Illinois Prairie State Chiropractic Association serving as president and district delegate, the Palmer College of Chiropractic Alumni Association, and the Palmer College of Chiropractic Presidents Club. Most recently, Dr. Gehlsen was inducted as a fellow in the Palmer Academy of Chiropractic. 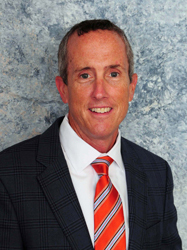 Dr. Gehlsen has been involved in numerous Freeport community organizations. In 2007, he served as the Chairman of the board of the Freeport Chamber of Commerce and was awarded the Dale LeBaron Memorial Award, which recognizes an individual or a group of individuals who have selflessly served the community with persistence, dedication and enthusiasm. In 2007, he was also appointed to the board of directors of the Freeport Community Foundation and is a past board chair. He is a past board member and chair of the YMCA of Northwest Illinois, past president and board member of the Lincoln Douglas Kiwanis Club, and a past board member of Big Brothers and Big Sisters. He was a recipient of the Hixson Fellowship award in May of 1999 from Kiwanis International. He was a member of the Highland Community College Leadership Institute 1994-95. In his spare time he enjoys jogging, bicycling, and traveling to new destinations. Dr. Reynolds had long held the belief that maximum health comes from within the body itself. After hearing that chiropractic removes the interference to healing from within, he left his 15 year printing career to become a chiropractor. Working two jobs and attending the College of Lake County, he received his Associate of Science in 1995. Dr. Reynolds moved his young family to Davenport, Iowa, graduating Palmer College of Chiropractic in 2000 and receiving his Bachelors of Science in 2000. Prior to joining Hulsebus-Gehlsen Chiropractic, Dr. Reynolds practiced for 10 years in northeast Illinois practicing full spine with a focus on lower back/disc injury care. In his off hours, he enjoys trail bicycle riding, outdoor photography, bowling and traveling with his wife to spend time with their two grown daughters. Dr. Ammon Jacobson received his bachelor degree in Human Biology and his doctorate of Chiropractic from the University of Western States in Portland, Oregon. Dr. Jacobson has extensive specialized training in functional analysis and rehabilitation through the Motion Palpation Institute, as well as McKenzie Mechanical Diagnosis and Therapy parts (A&B). After sustaining a serious injury in his youth while dirt biking, Dr. Jacobson knows first-hand how chiropractic can help return the body to normal function. He enjoys all things outdoor and loves spending time with his family and playing music.